Hi Friends! The weekend is here and I hope you'll have some time to ENJOY it! Last weekend the weather was so hot it broke a record (hottest day since 1918!). Today it's cold and rainy and I've got the wood stove on. Go figure! But, the garden is tilled and I'm ready to get planting!!! But I think I'll save that for tomorrow, when the weather is supposed to be a bit more dry. That means, today I STAMP! 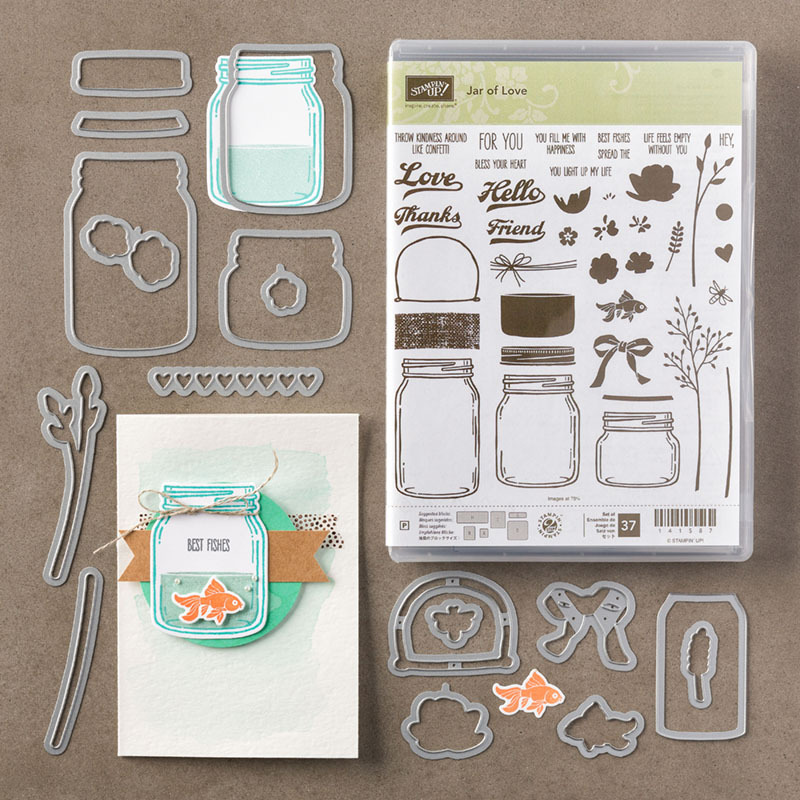 The Jar of Love is such a wonderful stamp set - and it comes with coordinating framelits too! You can get both these items as a bundle until May 31st and save 10%. After that they will be sold individually (this goes for all the bundles in the 2016-2017 catalogue that are being carried over - so grab those bundles and save money before next Wednesday!). Today I've got a really pretty to card to share with you - enjoy! Adhere 4” x 5 ¼” layer to card front. 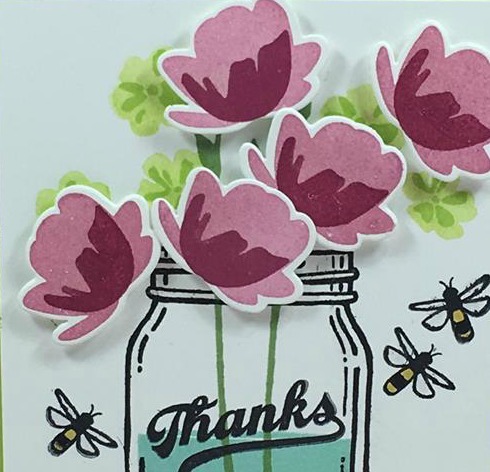 Using Archival Black Ink, stamp the jar, “Thanks”, and bee images as shown. Using Pool Party ink, stamp water inside jar as shown. Using Wild Wasabi ink, stamp stems inside jar as shown. Using Lemon Lime Twist ink, stamp off and stamp small flowers randomly as shown. Use Lemon Lime Twist ink full strength to stamp centers of small flowers. Using Berry Blast ink, stamp the dark petal layer to large flowers. Cut out all five blossoms using Everyday Framelits. 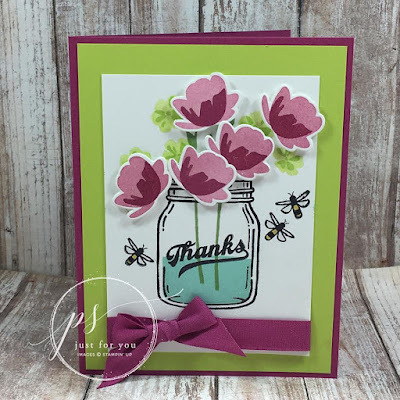 Adhere all large blossoms using Stampin’ Dimensionals. Tie a piece of Berry Blast ribbon around the Whisper White card stock layer as shown finishing off with a bow. Use Daffodil Delight ink and a blender pen and fill in sections of bee bodies as shown. Use Wink of Stella to add a little sparkle to flower blossoms and bee’s wings. 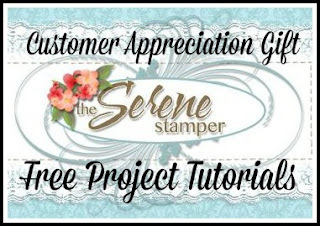 If you haven't had a chance to see what's retiring from the current Stampin' Up! catalogues, click HERE for all the information. You only have until next Wednesday to get your favourite products before they're gone FOREVER! Items are while supplies last and already products have sold out and are now discontinued! This is absolutely gorgeous! And the fact that you took the time to type out all the measurements???? Wow, how fantastic is that? Wow! Those colors together are gorgeous! Beautiful card!